4 Square Engineering Consultancy Limited is pleased to assist employers in achieving compliance with statutory workplace safety regulations and their own safety management systems. We can provide a wide range of services from process and project safety reviews, regulatory gap analysis through to auditing performance against client-based systems and procedures. We can provide back up resourcing, systems design and corrective engineering where additional measures are necessary to achieve the required levels of performance and safety that your business requires. Please browse through our range of services for a description of how we can assist you. We will be pleased to discuss your specific requirements. 4 Square has extensive experience in assisting clients achieve compliance with DSEAR (Dangerous Substances and Explosive Atmospheres Regulations). DSEAR is the UK implementation of two key EU directives: ATEX 137 and CAD (Chemical Agents Directive). Both directives are fundamental to the safety, health and welfare of workers and fall under the "Framework Directive" 89/391/EC. 4 Square Engineering can provide a full range COMAH compliance services including preliminary assessment of your company activities to determine if COMAH actually applies and thereafter to assist in the production of your safety case reports and essential documentation such as MAPPs, risk assessments, etc. 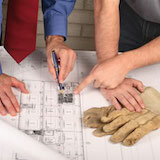 4 Square Engineering Consultancy Limited can provide an array of safety engineering reviews and studies. We use the latest safety and hazard analysis software which is recognised as the world leader for process safety analysis. 4 Square Engineering provides fire risk assessments for industrial premises as part of its suite of specialist health and safety consultancy services. We can provide assessments for the smallest single storey buildings through to the largest designed for many hundreds of personnel. The Provision and Use of Work Equipment Regulations 1998 (PUWER) states that employers must carry out risk assessments and provide work equipment that is suitable for its intended use and that can be used without putting employees at risk. PUWER covers all work equipment (i.e. machinery, appliances, tools, etc. ).